My joints used to creak when I got out of bed in the morning. I was living with the pain and joint stiffness that comes from osteoarthritis, the most common form of arthritis. I was thrilled when I learned four surprisingly simple steps that improved my osteoarthritis symptoms. If you have aching joints or trouble getting moving, there’s a good chance that osteoarthritis is behind your troubles as well. If that’s the case, you’ll benefit as much as I did from knowing these steps. Researchers from the University of Surry set out to discover the link between diet and quality of life in osteoarthritis sufferers. They found that for patients with osteoarthritis, taking 1 gram of fish oil per day is effective at significantly reducing pain. It works thanks to the essential fatty acids in the fish oil which reduce inflammation in the joints, helping to alleviate pain. The researchers also discovered that for patients with osteoarthritis who were overweight, losing weight eased the symptoms of osteoarthritis as well. That’s because not only does obesity increase strain on your joints, it can cause a low-grade, systemic inflammation throughout your body aggravating the condition even further and making your symptoms worse. In addition to cutting back on the calories you eat, the scientists proved that you can also decrease your osteoarthritis pain by participating in strengthening, flexibility and aerobic exercises. And increasing the amount of foods rich in vitamin K such as kale, spinach and parsley you eat can also deliver benefits when it comes to your osteoarthritis. You see, vitamin K is needed for vitamin-K-dependent proteins, which are found in bone and cartilage. When you don’t get enough of the vitamin, the protein doesn’t work well, affecting bone growth and repair and increasing your risk of osteoarthritis. Step #1 — Supplement with at least 1,000 mg of high quality fish oil per day. My favorite source of fish oil is Peak Krill Oil™. It’s the one I take daily and give to my family because krill is virtually free of impurities and are harvested far from industrial areas giving you the nutrients you need without the health-damaging toxins found in many omega-3 supplements. Step #2 — Take off those extra pounds to decrease the strain on your joints and rid your body of inflammation. Limit starch and sugar and focus on eating high quality proteins fats and veggies so that your body learns to efficiently burn your fat stores. Step #3 — Implement an exercise program that includes flexibility, strength training and cardio. Set an activity goal for your week and add to it as your fitness level improves. 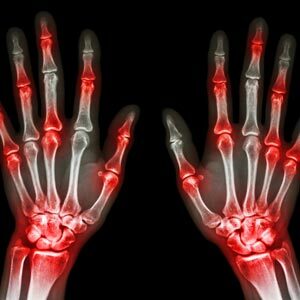 But be aware that with osteoarthritis, you will experience some joint irritation starting out. Step #4 — Eat more green leafy veggies to up the amount of vitamin K in your diet.